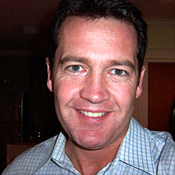 Shane O'Neill is Managing Editor for InformationWeek. Prior to joining InformationWeek, he served in various roles at CIO.com, most notably as assistant managing editor and senior writer covering Microsoft. He has also been an editor and writer at eWeek and TechTarget. Shane's writing garnered an ASBPE Bronze Award in 2011 for his blog, "Eye on Microsoft", and he received an honorable mention at the 2010 min Editorial & Design Awards for "Online Single Article." Shane is a graduate of Providence College and he resides in Boston. From Uber's dirty tactics to Silicon Valley's lack of diversity, look back at the year's biggest letdowns. Smart glasses like Google Glass get put to the test in the enterprise, while smartwatches slowly woo consumers thanks to the Apple Watch. Microsoft Bing director and author Stefan Weitz discusses how sensors, wearables, and big data are changing search. Remember, this is Christmas, not Halloween, and this is a company event, not Vegas. What happens at the company party does not stay at the company party. Artificial intelligence is not the danger, says one futurist. Rather, it will save us from danger -- and a dreary existence. Myriad communications tools are available, but most of us keep falling back on email. Here's why that's a mistake. From caretaker humanoids to bomb detection vehicles, robots continue to move well past vacuuming. Check out new robots roaming the recent RoboBusiness conference. Wearables are great, but what good would Google Glass or the Galaxy Gear be without useful apps? Here's a sampling of the latest business apps for wearables. The value of the "Internet of Things" is mostly lost on consumers. Here's how companies selling IoT and wearables can win them over. Google Glass may soon transform the workplace, but the mainstream disconnect runs deep. Thinking of outsourcing with Infosys, Wipro, or Tata? Here are some points worth knowing about the IT services heavyweights. Interop New York spotlights innovative products covering SDN, BYOD, PaaS, data center management, and more. Take a look. Wearables innovation will happen first in the enterprise, but CIOs should brace themselves for security and integration challenges. Here's how adding another gadget actually might help restore order to our obsessive digital lives. The Apple Watch marks Apple's bold foray into the wearables market, but we were hoping for one more thing. Well, maybe five. Epson, Jawbone, and Oculus join the Salesforce Wear device ecosystem as ISVs begin churning out apps. Bachelors and bachelorettes of IT, don't be afraid to use your tech smarts to break the ice. Users are sick of their activity-tracking wearable devices. But the answer may be as plain as the ear on your head. Philadelphia taps Salesforce and Unisys to ensure its "Philly 311" cloud and mobile program stays on top of all nonemergency requests from potholes to noise complaints. An IT director changes his life by monitoring data from wearables and sensors, walking the line between self-discovery and tech obsession. How cloud is competing head-to-head with outsourcing more, and other developments to keep an eye on. CalCloud, the State of California's private cloud managed by IBM, aims to streamline services for 400 state and local government agencies. Join Forrester analyst J.P. Gownder and InformationWeek editors on InformationWeek Radio to discuss how wearable devices and the Internet of Things are taking hold in the workplace. Salesforce.com announces Salesforce Wear, a developer platform for wearable devices such as Google Glass and Samsung Gear. InterContinental Hotels Group's mobile app hinges on alliance between product and developer teams. Consider these three ways to honor user privacy while also giving customers a new experience via a wearable device. UX designers, data analysts in demand as IT and marketing departments become digital business buddies. Big Blue will manage combined IT environment for newly merged automaker Fiat Chrysler. Meet George Jetson: From wireless door locks to scales that measure more than weight, these connected devices take your domicile digital. Analytics managers from Macy's, Ford, and Google offer tips on how to integrate and inspire data scientists. Here's how to become the type of organization that lives in your customers' digital world. Raytheon, No. 4 in the InformationWeek Elite 100 ranking, uses CAVEs -- computer-assisted virtual environments -- to boost collaboration among engineers and with customers. We've singled out 20 InformationWeek Elite 100 winners whose IT projects have transformed their businesses. Use them to inspire creativity and advance your plans. EDEN system helps the logistics company shave time -- and money -- off dock operations. One of eight profiles of InformationWeek Elite 100 Business Innovation Award winners. Employers must tread carefully with activity trackers and devices like Google Glass. Wearables could take real-time personal data collection to unnerving new heights. Is Your Company Really A Digital Business? Or does it just look like one? Here's how to tell the difference. "The Visual Organization" author Phil Simon discusses data visualization tools and their power to change business conversations. Digital Innovation: Internal Or External Team? Most execs think digital business will change their industries, but only one-third think their companies are ready. It may be time to suit up an innovation team. Low-risk, incremental improvements aren't innovation, but that's where most companies focus, Accenture finds. From HealthCare.gov to the Galaxy Gear smartwatch, here are some of the year's biggest letdowns. Always-on social and mobile customers have the power to upend your company. Here's how to come out on top. Luke Skywalker had it right. Push away the screen and go with The Force from time to time. Mobile analysts debate whether Samsung should free itself from Android and use its homemade OS, Tizen. Microsoft must get over Apple envy and play in the real world of mobile. First step: Unchain Microsoft software from Windows. CIOs should prepare for an era of digital disruption where a decentralized IT department is spread across the company. Penske Truck Leasing, the No. 4 company in the IW 500 ranking, needed a used truck site that appeals to customers and search engines. IT innovators turn great ideas into action. Use these winning InformationWeek 500 projects to spark your creativity and advance your plans. Don't begin with an end in mind. Allow yourself to be surprised by what big data reveals. Microsoft is stuck beating the same drum to a public that has made up its mind about Windows 8 and Surface devices. Is it too late to make changes? Comedy. Tragedy. PEBCAK. Systems administrators know them all -- as evidenced by these tales from IT pros recognized on National SysAdmin Day. InformationWeek research shows a lack of confidence in big data analytics. You can push past the fear, but remember presenting the data is as important as finding it. Microsoft Surface devices can't find a home as consumers shrug and enterprises focus on Windows 7 and BYOD programs. When your CEO praises the company's readiness for digital disruption, don't believe him until he helps break down the walls that stifle innovation. Here's how CIOs can help break down internal barriers to help their companies stay ahead of the digital disruption curve.